As the war in Gaza appears to wind to a close, it may be time to take a retrospective look at the conflict and what, if anything, has changed as a result of it. The first, and possibly most important, consequence of the war is a diplomatic rift between the United States and Israel. While publicly, the US government consistently affirms Israel’s “right to defend itself,” and Israel considers the US to be its most important ally, the situation behind the scenes is clearly different. US Secretary of State John Kerry was caught on camera sarcastically calling the Israeli invasion a “hell of a pinpoint operation,” referencing the heavy number of civilian casualties, while Israeli Prime Minister Benyamin Netanyahu told President Obama to “never second-guess me” when it came to Hamas in a phone conversation. The lowest point in the relationship came with the rejection of John Kerry’s week-long ceasefire proposal by Israel’s security cabinet. The proposal, which called for a week-long ceasefire, before discussion began on a wide-range of topics (including the Israeli blockade, the transfer of funds to Gaza, and Israel’s “security concerns”) was blasted by Israeli media and government personalities as a “prize for terror.”What Israeli officials were most upset about was not what was included in the proposal, but rather what was not: explicit mentions of the demilitarization of Hamas or the destruction of tunnels from the Gaza Strip. The proposal never promised anything to either party, only that a ceasefire would precede negotiations, but nevertheless Kerry was vilified in the Israeli media with State Department officials baffled at the level of hostility. Israel’s ambassador to Washington said that the criticism of Kerry was unwarranted but the damage was already done. Interestingly enough, current negotiations in Cairo will inevitably discuss all of these issues as part of a long-term truce agreement. 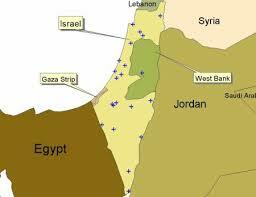 The second consequence is changing attitudes towards the Palestinian unity government. While Hamas scored statements of support by Turkey, Qatar and Iran, during the fighting, what is far more important is the postwar power dynamic between Palestinian factions. In the first days of the war, the Palestinian unity government appeared impotent and irrelevant to respond to the Israeli invasions. But now, the major Palestinian factions: Fatah, Hamas and Islamic Jihad are all representing one delegation in Cairo and have united behind one set of demands. Prior to the fighting, Israeli Prime Minister Benyamin Netanyahu called for the dismantling of the Palestinian Authority’s unity government. Now Netanyahu is starting to realize that PA President Mahmoud Abbas was his best possible partner for peace. How the PA emerges from the truce negotiations will have significant consequences for Palestinian unity, especially if the PA reestablishes a security presence in Gaza, as some are suggesting. Hamas has come out on top so far, thanks to perceptions that it is the only group resisting the Israeli occupation of Palestine, but international support for Abbas and his moderate faction could tip the scales. Finally, while war is tragic, it can create the conditions for peace. Negotiations spectacularly failed between the PA and Israel earlier this year (as detailed in this excellent New Republic piece). But this current conflict has brought Palestinian and Israeli negotiators back to a table with one another. If the ceasefire stands and if international political will can hold, the framework for a long-term agreement on Gaza can be worked out. Even if not implemented immediately, it can be used in future negotiations as a step to resolving the status of Gaza, something not even discussion during the Kerry Initiative. While I don’t believe we are closer to peace now than we were earlier this year, I do believe leaders on both sides have realized that the situation is untenable. The status quo is dead and, one way or another, things will change.